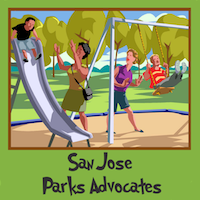 With all of the new worries we’ve had in San Jose in recent years…the police exodus, the rise in crime, the poor relationships between city employees and their bosses…it’s easy to lose sight of other “quality of life” issues that are really just as important. In fact, some of the issues that are getting left on the back burner, cold and unattended, are the reason so many people love San Jose and strive to make their home here, and we need to heat those issues up once again. In The September District 10 Newsletter, Johnny Khamis has a nice quote about the value of parks.